Home Uncategorized In Fashion: Raising a Glass to L.A. 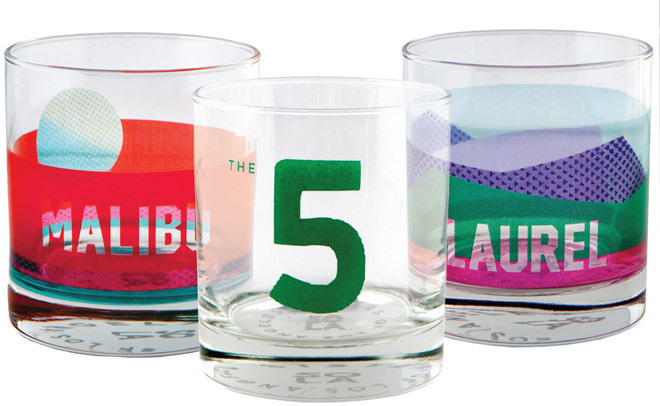 In Fashion: Raising a Glass to L.A.
Just as “The Californians,” the Saturday Night Live skit mocking traffic-obsessed Angelenos, went viral last fall, the Sisters of LA launched their line of “Freeway” glasses. Even without the sketch, the tumblers stamped with “The 101” and “The 405” would have struck a chord here.